On March 13, 1924, eight members of the University of Tennessee faculty met to discuss the possibility of having a chapter of Phi Beta Kappa established on the Knoxville campus. This meeting and a subsequent meeting with Dr. Oscar Voorhees, the Secretary of the United Chapters of Phi Beta Kappa, resulted in the formation of Knoxville Club of the Phi Beta Kappa Society, and four decades of effort to finally establish the Epsilon of Tennessee Chapter. In August 1925, UT President, H. A. Morgan received a letter announcing "a well-considered plan of expansion" of Phi Beta Kappa. The Knoxville Club and the University submitted information to be considered by the Phi Beta Kappa Council in 1928, but the Scopes Trial in Dayton in 1925 and the University's response to the trial raised questions about the eligibility of the University for a chapter. Another concern was a possible conflict with another academic honor society, Phi Kappa Phi, which already existed on campus. After the unsuccessful attempt in 1928, the university reapplied for membership in 1932. 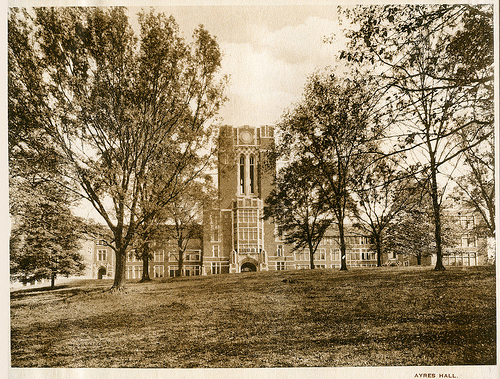 President David A. Robertson of Goucher College made a site visit in November 1933, but UT was not recommended for membership. Another site visit in 1935 also resulted in disappointment. On June 10, 1938, the Knoxville Association was formally chartered as the "Alpha of Tennessee Association of Phi Beta Kappa." The University's application in 1939 was also denied. A major reason was the visiting committee's judgment that the liberal arts did not have adequate support compared to technical, vocational and professional programs. Because of World War II, there was little activity until 1949. In 1950, there were 49 members of Phi Beta Kappa on the faculty. They met to reactivate the Association and continue the struggle for a chapter. These efforts were unsuccessful in large part because the Phi Beta Kappa Committee on Qualifications determined that the University's athletic policies were not conducive to liberal studies. Another preliminary application in 1961 resulted in a letter announcing that the University would again receive a site visit. A 139 page report was submitted and the subsequent visit went well. The Committee on Qualifications recommended that UT be awarded a chapter and the Council approved that recommendation on September 1, 1964. The Epsilon of Tennessee Chapter of Phi Beta Kappa was formally installed on January 29, 1965. It was the fifth chapter in the state following Vanderbilt, The University of the South, Southwestern at Memphis (now Rhodes College) and Fisk. The new chapter was entitled to name "Foundation Members," alumni and faculty members that is wished to honor as the first persons inducted into Phi Beta Kappa by the Epsilon of Tennessee chapter. Four distinguished alumni were chosen: Frank Hyneman Knight ('13), Distinguished Service Professor of Economics at the University of Chicago, Joseph Wood Krutch ('15) naturalist, author and critic, Bernototte E. Schmitt ('04) Rhodes Scholar and Chair of the History Department at the University of Chicago, and Jack Bernard Tate ('24) Associate Dean of the Yale Law School. 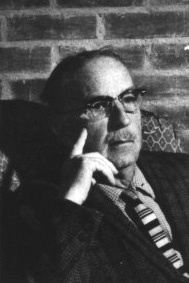 The two faculty were Hilton A. Smith, Professor of Chemistry, and Nathalia Wright, Professor of English. Thirty-nine members of the faculty were named as Charter Members.